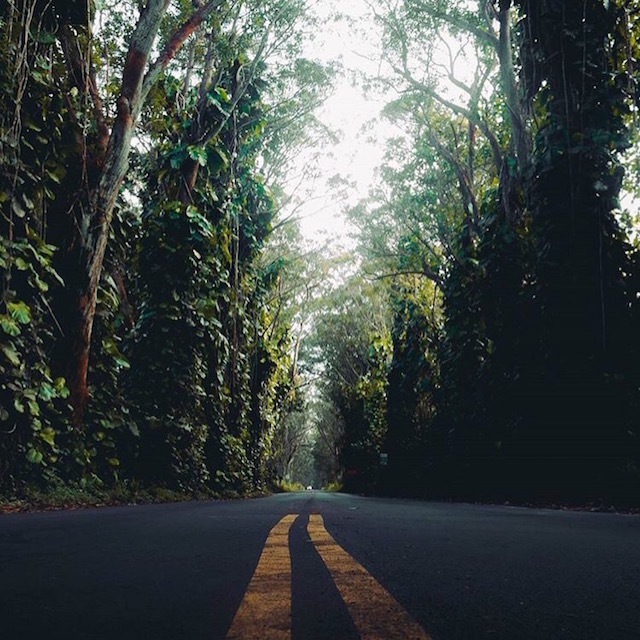 Historic and picturesque, the infamous Tree Tunnel is the gateway to Kauai’s charming south shore. Stretching over a mile and comprised of nearly 500 Eucalyptus trees, the iconic pathway was gifted to the community in 1911 from the Pineapple Baron, Walter Mcbryde. It is said that the trees were left over from a massive landscaping project on his personal estate, which today serves as the grounds to the Kukiolomno Park and Golf Course. The Tree Tunnel has been stripped bare by two hurricanes, and both times nature has restored its beautiful canopy. Up For a Fun Challenge? It is a practice of local children (and willing adults:) to attempt to hold their breath through the entire one mile drive. This task is more difficult than you can imagine! Circling around and told from time to time, are a few Hawaiian legends regarding the highway and its resident ghosts, but I will let you discover those for yourself.